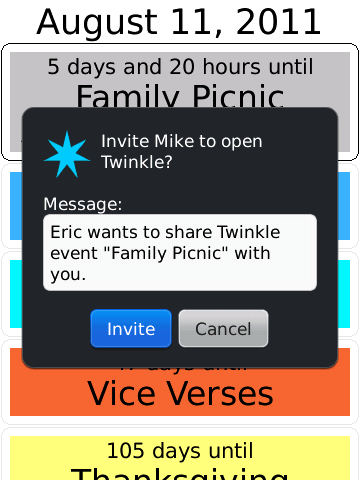 Version 3.0 of Twinkle has been released through BlackBerry AppWorld. This version adds the ability to share events with friends through BBM, multi-language support for English, Spanish, & Dutch. As well as adding integration with the native BlackBerry options screen, and native support for the higher screen resolutions of the new OS 7 devices being released this week. Twinkle, which recently celebrated its first birthday, is a simple application that allows you to set and keep track of upcoming and past events. Twinkle will tell you how far away an event is, and allows you to send events to and from your BlackBerry’s native calendar, or to your friends on BBM. 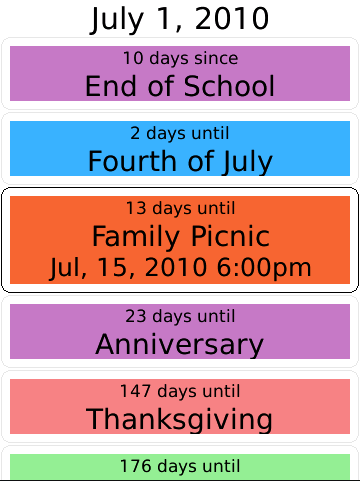 Twinkle gives you the ability to add and edit events, lets you keep track of how soon something is, or how long it has been since an event, and to search for all of these events through BlackBerry’s universal search. In recognition of this deep integration with the device, Twinkle was named a Regional Selections Winner in the 2010 BlackBerry Super Apps Challenge. New in version 3.0 is the ability to share events with your friends on BBM. You just select an event, and then choose to “Share Event” from the menu. Then select who you want to send the event to. 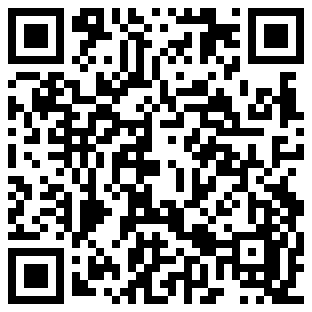 If your friends do not yet have Twinkle on their BlackBerrys, you can send them a download invitation through a sharing button on the app’s about page. Data from June 2011 showed that despite only being available in English that 9.2% of Twinkle users actually had Spanish as their first language. Another 3.2% of users had their primary language as Dutch. As a result both of these languages were added as options in this version of Twinkle. When the app is first run it will detect the native language on the device automatically. After that the user is free to change it anytime they like from the options page. Version 3.0 also includes integration with the native BlackBerry menu option page. As a result all of the options within Twinkle can also be edited from the Third Party Apps section of the BlackBerry options page. Gray was also added as an additional background colour option for events. It may be a boring colour, but sometimes you have boring events. Updates were also made in order to better support the higher screen resolution of the recently announced BlackBerry 7 devices such as the Bold 9900/9930, and the 9810, 9850, and 9860 Torch models.